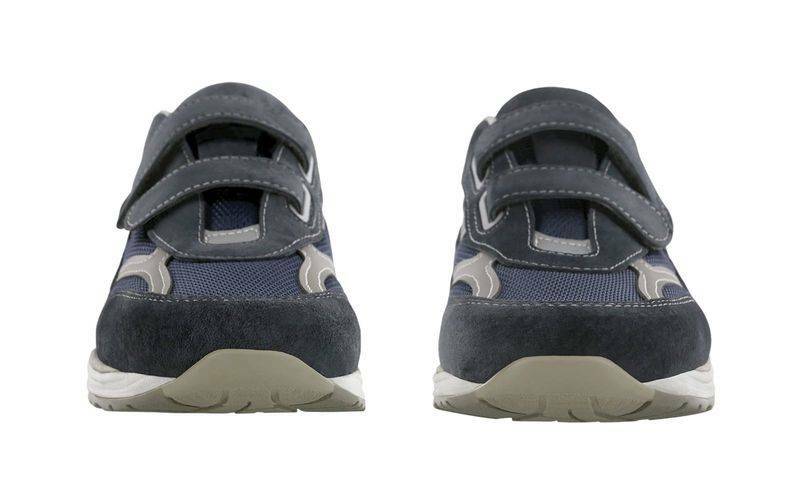 Adjustable hook and loop straps lend a custom fit to the stylish and functional J-V Mesh. 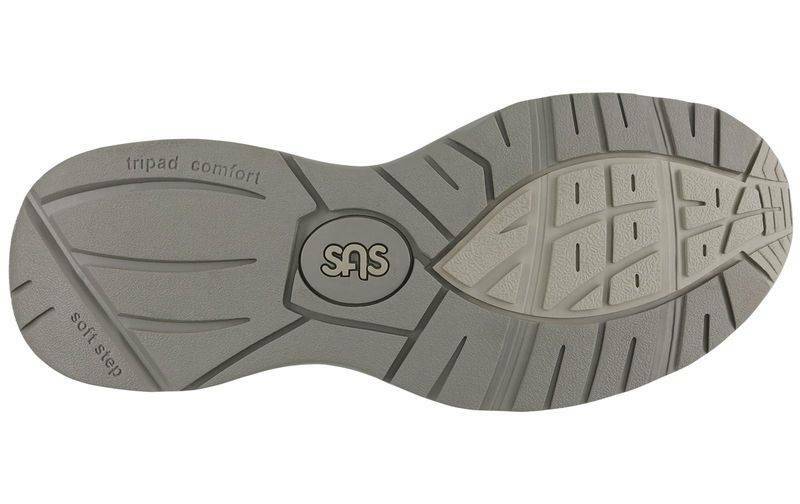 SAS Comfort Outsole™, SteadyTrac™ Midsole, and Arcfit™ heel stabilizer work together to provide you maximum firm but gentle support. 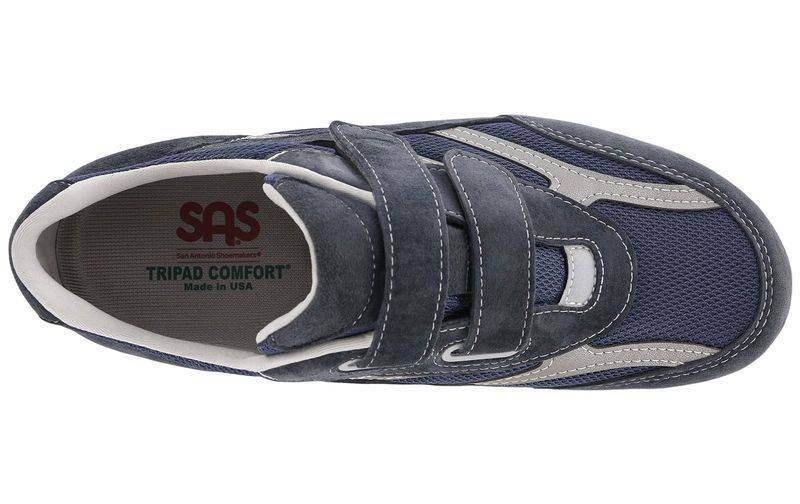 Tripad® comfort system adds additional support to the three main pressure points of the foot, while SAS CoolSTEP™ foot bed and a leather and mesh upper make for a light design with no heat build up underfoot. 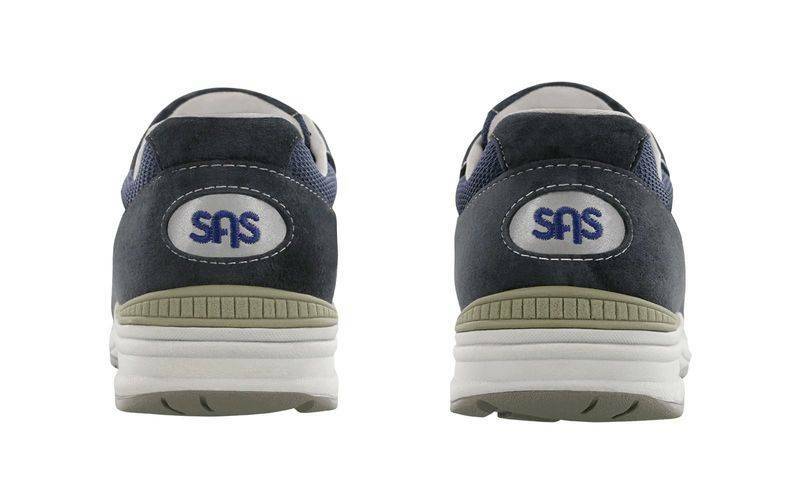 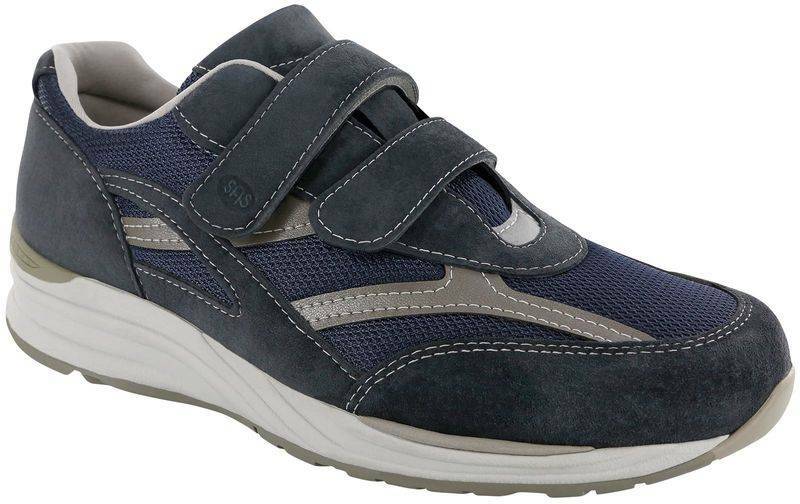 SAS SteadyTrac™ Midsole: The SAS SteadyTrac™ Midsole is a shock absorbing flexible lightweight unit with a forepart stabilizer that provides lateral stability throughout the walk cycle. 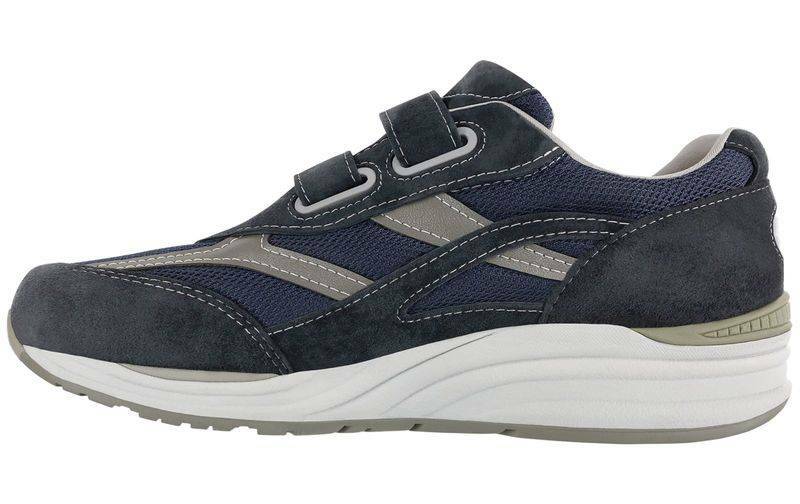 The Cradlefit™ heel stabilizer gives a firm but gentle support to encourage proper heel strike on all types of surfaces.